Each year, more than 30,000 people come to Madison’s Monona Terrace Community and Convention Center to enjoy numerous public community programs and events offered at little or no cost to attendees. Your support helps ensure a continuing tradition of high quality programs offered at Monona Terrace such as Concerts on the Rooftop, Meditation, Tunes at Monona Terrace, Moon Over Monona Terrace, Yoga, PechaKucha and Lakeside Kids, as well as architectural outreach programs that serve thousands of local students each year. Wright Your Own History – Have a Monona Terrace Tile inscribed to commemorate a special occasion, your club or business, or someone you love. Your inscribed tile will be part of Monona Terrace for years to come. 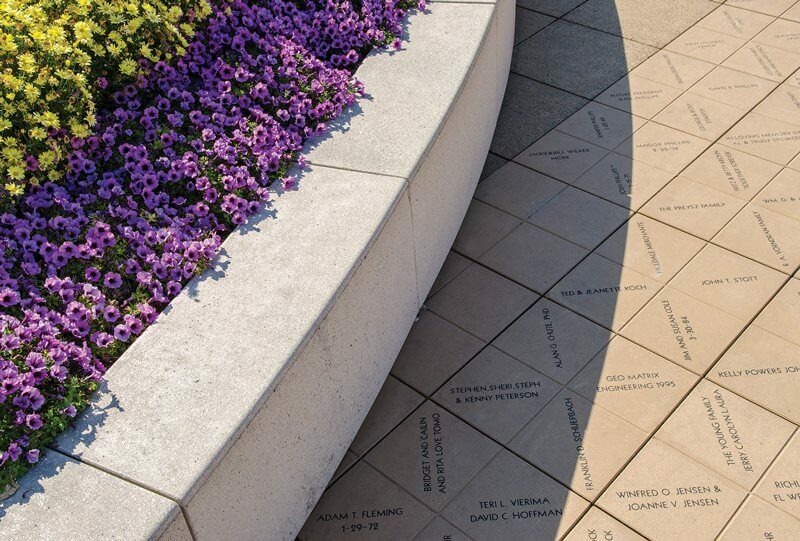 Your gift is tax deductible as permitted, and proceeds from the inscribed tiles will help support Monona Terrace Community and Tourism Programming. Tiles are currently not available to purchase.